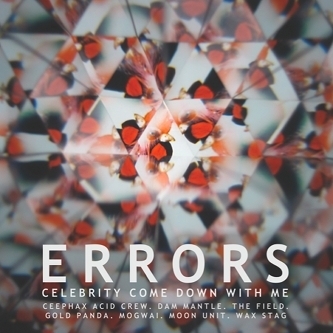 Errors offer tracks from the recent 'Come Down With Us' album for remixes from Wax Stag, Dam Mantle, Moon Unit, Ceephax, The Field, Gold Panda and Mogwai. In pole position, Wax Stag turns out a salty, 8-bit Italo grooving mix of 'Germany', while Dam Mantle do their unclassifiable toytronica thing with 'Sorry About The Mess' and the celebrity factor is fulfilled with Richard Norris, Andy C and Julienne Davis' psyche-out revision of 'Beards'. The Field give a droning, pulsing kosmic techno workout, next to Ceephax's cannily titled 'Paisley Nightdrive' remix of 'Jolomo' and Mogwai's curious fusion of Hi-NRG beats and pastoral electronica melodies.